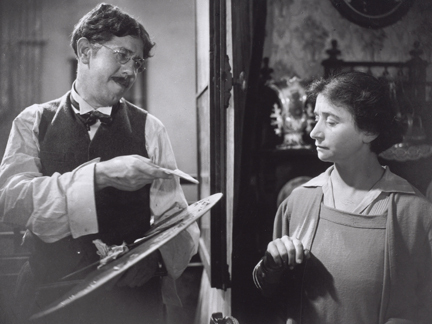 A henpecked husband (Michel Simon) falls in love with a deceptive prostitute (Janie Marese) who milks him for money, sells his amateur paintings under her own name, and maintains a clandestine relationship with her pimp boyfriend (Georges Flamant). Jean Renoir’s second “talkie” film — remade by Fritz Lang in 1945 as Scarlet Street — marked the leading-role debut of jowly Michel Simon. Simon is simply brilliant here, playing a man who can’t seem to win: he’s henpecked by his insufferable wife on one side, cuckolded and plagiarized by his duplicitous lover on the other. Yet despite the fact that Simon seems to be headed straight from the frying pan into the fire — and must ultimately pay dearly for his brief foray into misguided adultery — at least he’s taking control of his life for the first time; we can’t help but watch his downfall with both fascination and pity. Yes. This early French version of Scarlet Street is arguably Jean Renoir’s first masterpiece, and remains must-see viewing. Peary lists it in the back of his book as both a Personal Recommendation and a film with historical significance. First viewing. A must – as a solid entry in classic French cinema. How interesting to finally happen upon this earlier version (by Renoir) of Lang’s own classic ‘Scarlet Street’! This is a rare instance in which the original and the remake stand equally on their own (and how often does that happen?). One is not better than the other and each is a rich experience. There are differences: ‘La Chienne’ is a more somber work – even with the ingenious opening of a Punch and Judy show informing us – basically – that the film is either a comedy or a tragedy…but without a moral. (Which is true – it’s a film about being totally amoral.) Whereas ‘Scarlet Street’ is more pointedly amusing (thanks to the contributions of screenwriter Dudley Nichols), ‘La Chienne’ is more obviously sexual and unafraid to be so. (Ah, the difference between being open and European – and being held to America’s strict censorship code.) 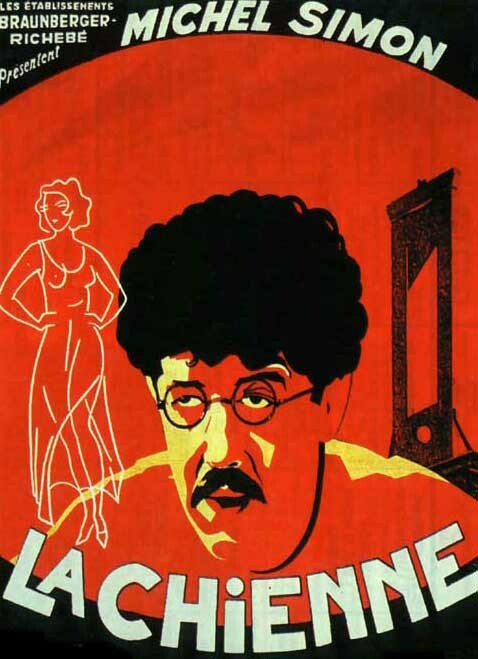 As well, certain scenes in ‘La Chienne’ do not appear in Lang’s film at all – but more than essentially the storyline in both remains the same and most of the key scenes are similar. Of the leading men in both films, I will probably give Edward G. Robinson in ‘Scarlet Street’ the edge over Simon here – though Simon does give a wonderful, if subdued, performance. Robinson is given more psychological complexity – and I find that carries more weight for a character. A very satisfying, still potent example of film in the early sound era.